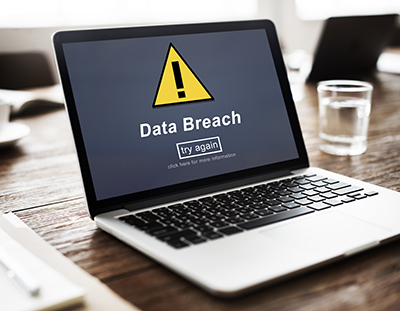 A new law taking effect this summer means Arizona employers will face more stringent requirements in the event of a breach of personal information (PI) of customers or employees. Governor Doug Ducey signed House Bill 2154 into law on April 11, and it will take effect 90 days after the current legislative session comes to an end. The bill was introduced with the backing of Arizona Attorney General Mark Brnovich, who said it will provide clarity on businesses’ and government organizations’ obligations after a data breach. Proponents of the new law call it one of the most comprehensive and proconsumer data breach laws in the country. A breach of PI generally triggers notification duties, and Arizona’s current law includes a narrow definition of PI. Under the current law, PI is defined as an individual’s first name or first initial and last name combined with a Social Security number, driver’s license number, nonoperating identification license, or financial account, credit card, or debit card number in combination with a required security code, access code, or password that would permit access to the individual’s financial account. Biometric data (if used to access an online account). For online accounts, the new law creates an additional category of PI—a username or e-mail address combined with a password or a security question and answer. The new law also includes increased notice requirements and increased penalties. Arizona employers should use the small window of time before the stricter law becomes effective to consider their internal procedures for monitoring and reporting potential data breaches. They also need to make sure they can comply with the 45-day notice window if a breach occurs and notice is required. In addition, employers should talk to their insurance broker to make sure they have the right coverage if a breach occurs. Finally, it is important to make sure HR and IT personnel are working cooperatively to prevent data breaches from happening. For more information on the new Arizona data breach law, see the May issue of Arizona Employment Law Letter. Dinita L. James is the editor of Arizona Employment Law Letter and a partner in the Arizona law firm Gonzalez Law, LLC. She can be reached at dinita.james@gnzlaw.com.